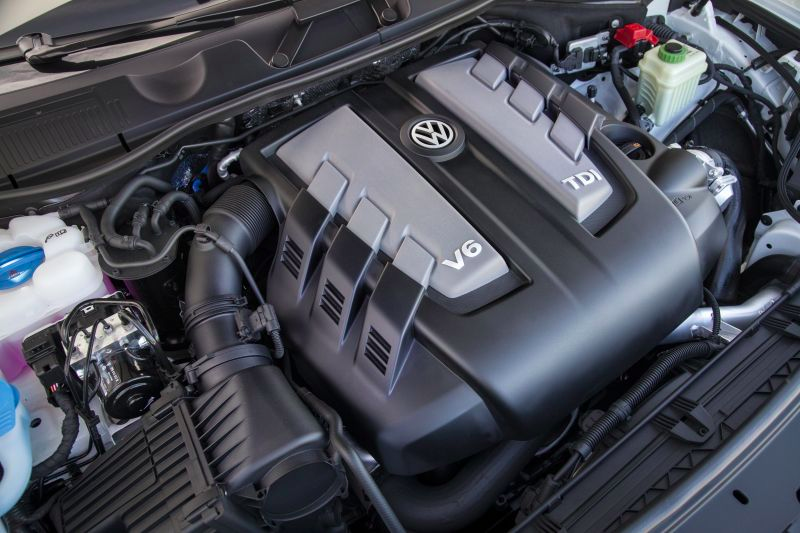 We know Volkswagen and the feds have come up with a settlement for the 475,000 2.0-liter diesel cars that cheated federal emissions tests, but that still left over 80,000 owners of polluting 3.0-liter diesel Porsches, VWs and Audis in limbo. Now, according to Reuters, it looks like there’s finally a solution for them, too. And it may be good news for VW. The news website cites sources briefed on negotiations between U.S. regulators and Volkswagen, saying the two sides have agreed on buybacks for 20,000 older VW and Audi SUVs, as well as a relatively simple software fix for 60,000 more recent Audi, VW and Porsche vehicles. The report goes on to say that “a separate, more complex fix is expected to be offered for the older vehicles” as well. This comes a year after Volkswagen admitted that over 80,000 of its 3.0-liter diesel vehicles—including the VW Touareg, Audi A6, Audi A7, Audi A8, Audi A8L, Audi Q5, as well as the Porsche Cayenne—emitted more pollution in real-world driving than on dynamometers used by the EPA for emissions compliance testing. And since that admission, we’ve heard that the automaker had found a simple fix for the affected 3.0-liter vehicles, and then that the fix was later shot down by regulators. Now it looks like this speculation may be coming to an end. But devising a fix, and offering some buybacks isn’t going to be the end of it, as you can bet consumers are going to want some cash for depreciation and VW’s breach of their trust. While an agreement between the EPA and Volkswagen may address some of the environmental damage, it does not hold the company accountable for the harm caused to consumers. We will continue to pursue a fair resolution on their behalf. As much as I’d like to end this post with “With this resolution, VW will be close to finalizing this disastrous scandal once and for all,” a new Audi emissions scandal surfaced earlier this month. So VW still has a long road ahead of it.